BERGEN, Norway – When PlugRush first popped onto the scene over a decade ago, it made its mark right away by introducing one of the most innovative ad formats to ever hit the online marketing industry: native ads. Embedded within and mimicking the content of a website, as opposed to banner ads that clearly stand out as advertisements, these little guys — originally coined as “plugs” — really made a difference. Native ads are now a staple in both adult and mainstream ad networks — and PlugRush is a staple in the world of online advertising as a whole, winning several awards (e.g. the 2017 YNOT Award for Best Traffic Services Company in Europe) as well as regularly attending and sponsoring industry events. Native ads are still an integral part of PlugRush’s ever-growing arsenal of ad formats these days, and they were recently improved further with the introduction of Real NativeAds. Real NativeAds are a set of native ads that can be inserted into website content directly instead of requiring a separate adzone block, which is too easily recognized as an advertisement area. This, all at the click of a button. While it does sound like magic, it’s definitely not. Real NativeAds are also not the only ad format supplied by PlugRush. Worldwide coverage for a vast variety of banner ad formats and pops is also a key component of business being conducted, with both mobile and desktop traffic being monetized across the board. Staying true to the goal of always innovating and improving their own network — and online advertising as a whole — PlugRush made sure its new statistics overview for publishers really provides website owners with the information they need, in a way that is both extremely useful and also time-efficient. The new and improved system for publisher statistics allows for multi-level breakdowns, which enable webmasters to really pinpoint their best-performing traffic. Let’s suppose you’re interested in the eCPM you’re generating with Vodafone traffic from Germany with users that utilize the Firefox browser on an Android device. This exact information is now just a few clicks away — if you’re a publisher at PlugRush and like to make data-based decisions that will help grow your revenue, that is. Another important factor when analyzing traffic as a website owner is transparency. PlugRush very clearly shows you how much of your traffic made the cut to be sold and what it generated in income for you, while also providing very clear information about traffic that did not. As for advertiser stats, the advantages — apart from detailed stats per campaign (sources, country, carrier, browser, OS, language, hours) — can be found in the custom filtering available to advertisers. Together with conversion tracking, these features give full insight into what improves ROI and what makes the optimization process quick and easy. This enables every website owner or media buyer, whether they’re selling or buying traffic, to grow their business with useful information. If you need help using the system to optimize what traffic you sell to or buy from, they have a very friendly support team at your disposal. While in the past PlugRush only catered to advertisers and publishers in the adult sector, it’s now also open to mainstream website owners and anyone looking to purchase mainstream traffic. Constantly striving to provide innovative solutions for your traffic monetization goals (and doing so very effectively), it would have been unfair to only supply adult advertising with such a high quality solution. In July 2018, PlugRushers were introduced to the ability to monetize mainstream traffic with a tried and tested system that is sure not to disappoint. 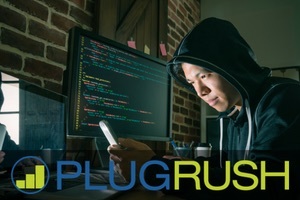 Ahead of the inclusion of mainstream traffic, the team of talented developers at PlugRush laid very important groundwork with the implementation of new stats systems for both advertisers and publishers, a game-changing traffic quality analyzation tool always running in the background and an ad delivery system that allows for the bypassing of AdBlockers. With all that written, the masterpiece is not yet complete and PlugRush has many more tricks up its sleeve. A little birdy told me that the next big thing from the devs at their offices is going to change how advertisers optimize their campaigns and give them a lot more time to devote to faster scaling while making even more money. Stay tuned! Sascha Brian is an independent contractor based in Germany working for the Norwegian ad network PlugRush. 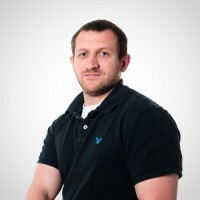 He provides support and writes technical guides, as well as articles and newsletters. In his free time, he enjoys lifting weights and drinking beer. Should You Worry About the “Parent’s Internet Accountability & Child Protection Act”?